Do you need documentary or fiction, commercial or corporate, BSL or sensory loss access video? Then we can help you to create the video content that you need. Here at COS we have a professional media production department that create a wide array of bespoke media content for businesses and public sector organisations, national and local government, and community productions. We can help and support you in making you content more accessible for people with sensory loss. Whether that is with video, graphic design, animation or media advice. British Sign Language (BSL) video's are sometimes the only way your information can be passed on to the Deaf community. So at COS we create BSL videos in a variety of ways, for a variety of reasons. If it's for marketing, corporate or web purposes, here at COS we can provide a full production service with the added bonus of opening new markets within the sensory loss communities. When you require something more than just live action, or want a more unique way to tell your story, then we can help you. 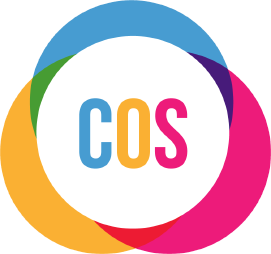 COS knows the importance of visual communication and sometimes animation and graphics is ideally placed to support or even tell the whole of what you want to say. If you need leaflets, flyers, booklets, folders, business cards, or even a brochure designed to cover your portfolio or product range, quality and accessible design is what COS can offer. For more information on how we can support your media in making it accessible to those with a sensory loss and wider PAN disability audience.